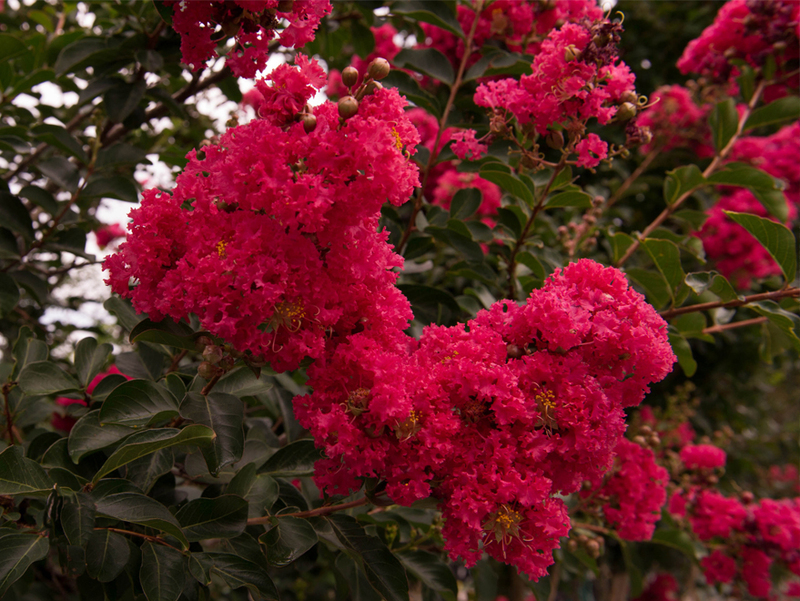 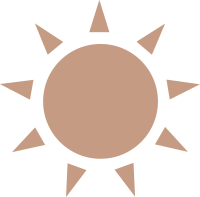 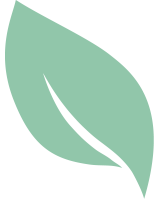 In 1985 Oklahoma State University developed the Centennial Spirit Crape Myrtle, which is a prolific producer of wine red flowers. 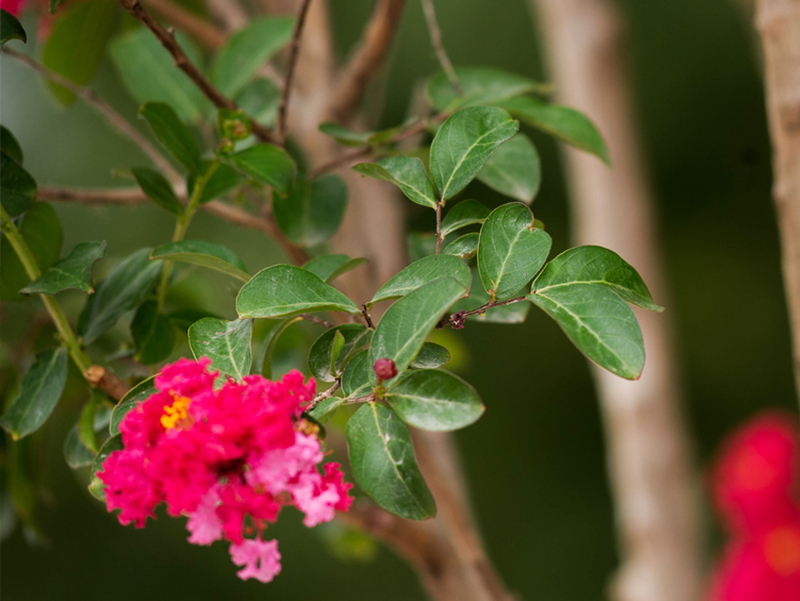 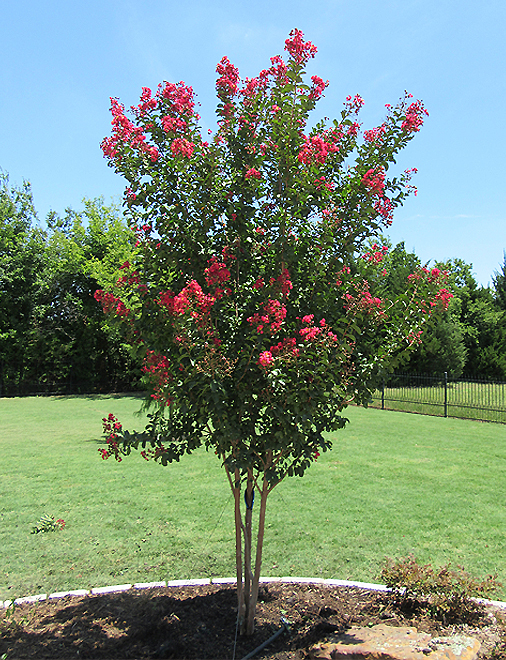 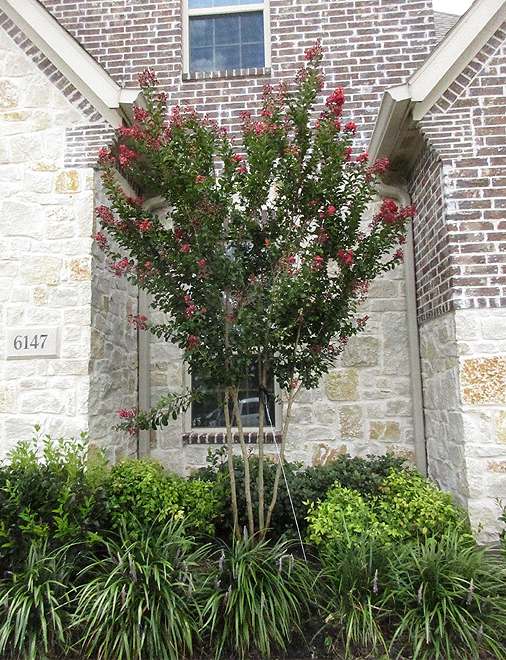 Each cluster within the Centennial Spirit Crape Myrtle has hundreds of red flowers and each cluster can range from 8” to 16” long. 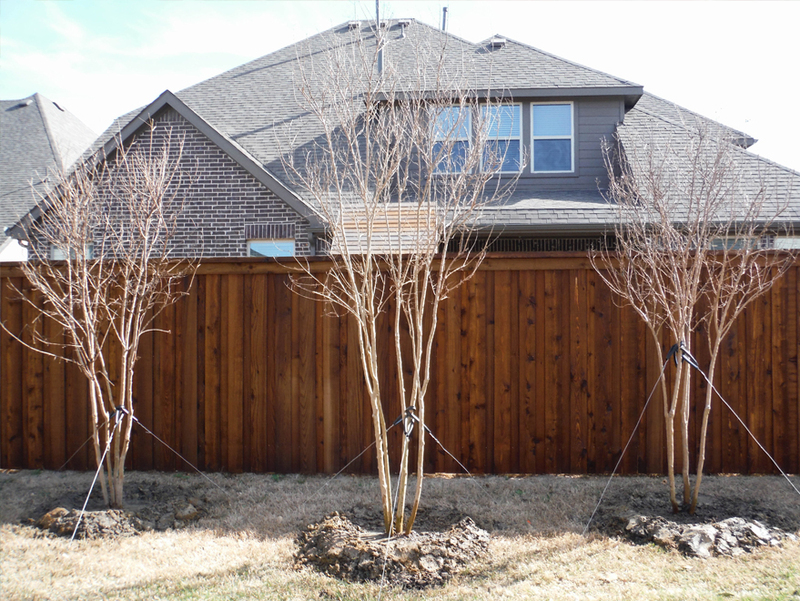 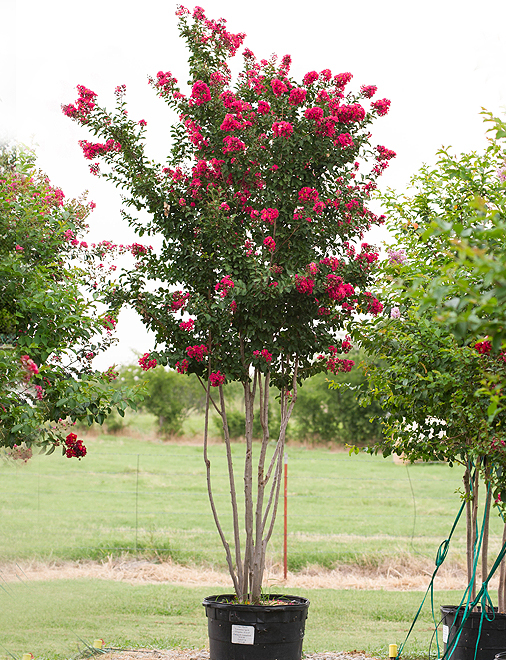 The Centennial Spirit Crape Myrtle has an upright growing habit with small alternate leaves that are rounded at the base and are 2” to 3” long. 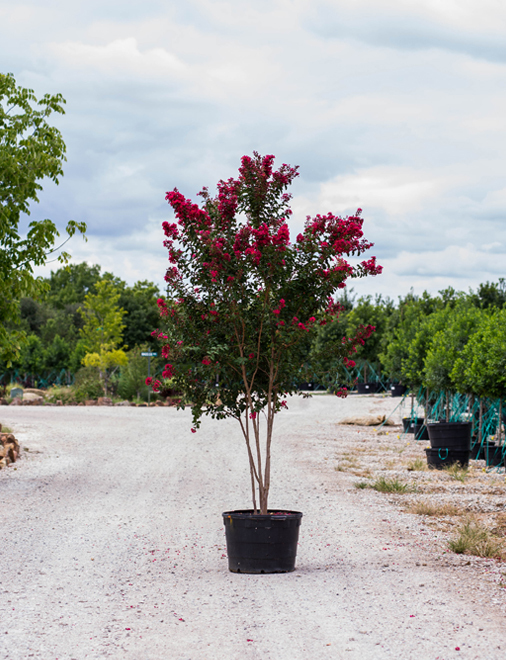 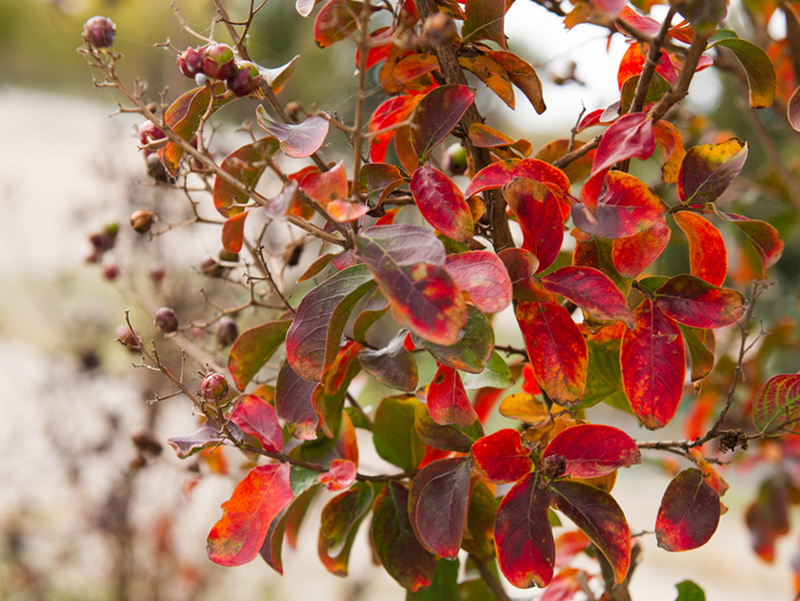 The Centennial Spirit Crape Myrtle has leaves that are glossy green in the summer and in the fall they turn orange and red. 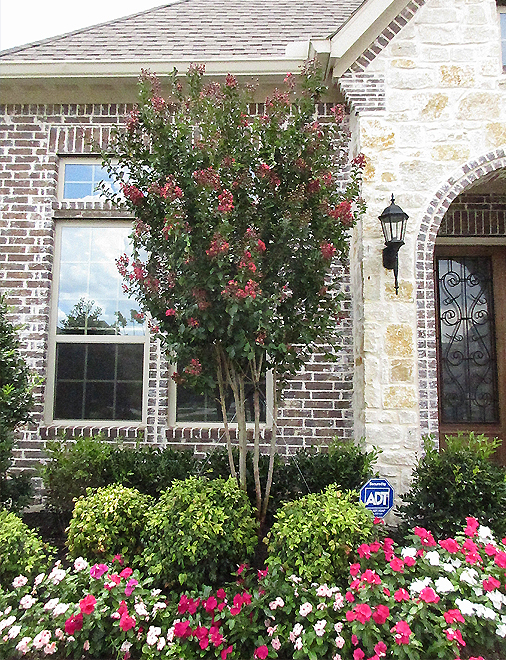 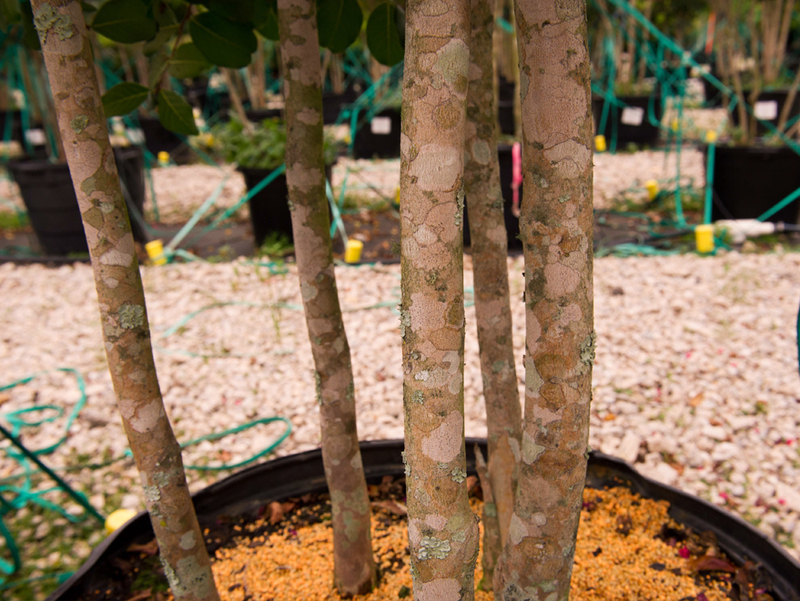 Each summer the Centennial Spirit Crape Myrtle exfoliates its gray colored bark in thin strips to expose a smooth and cream colored bark. 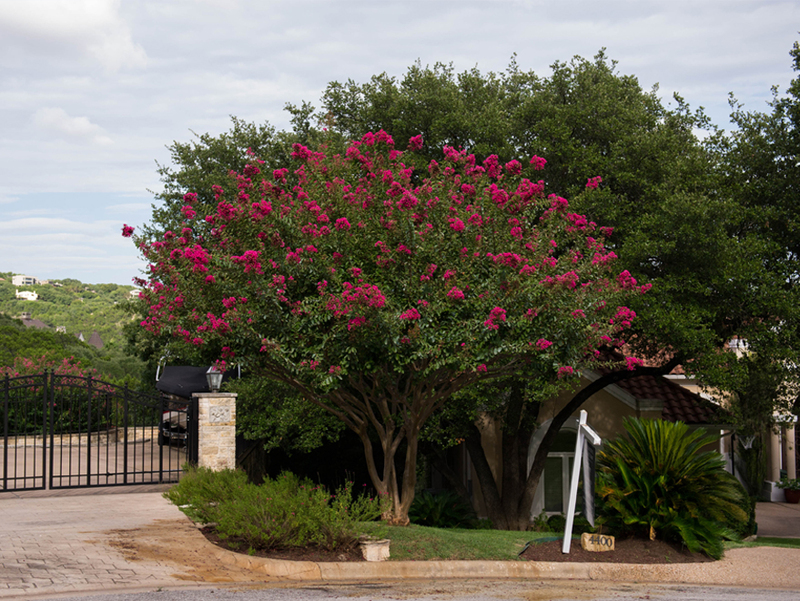 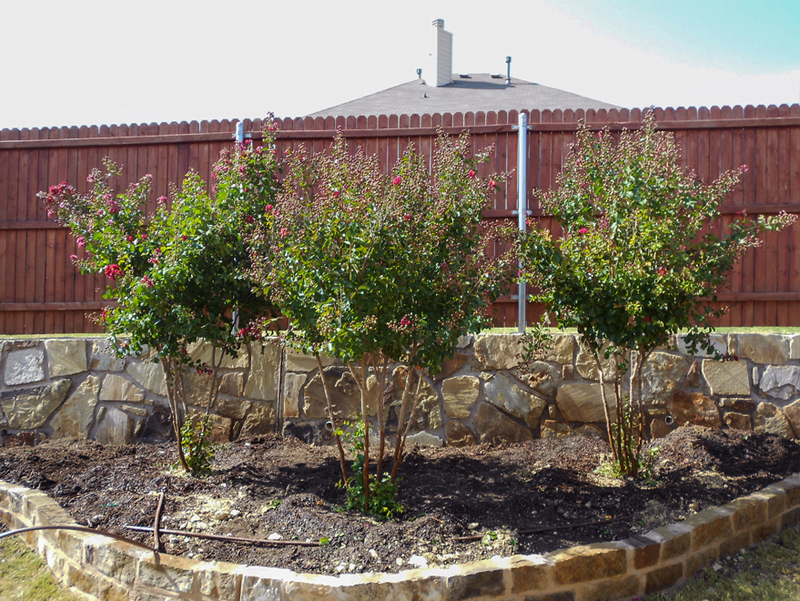 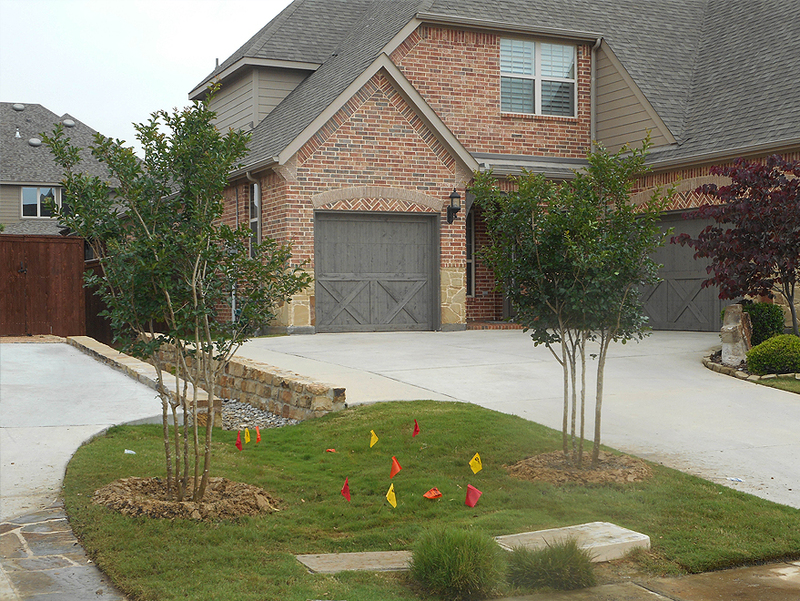 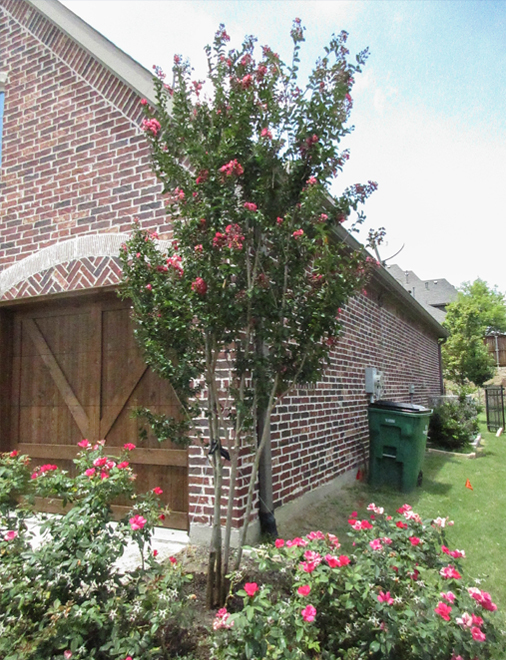 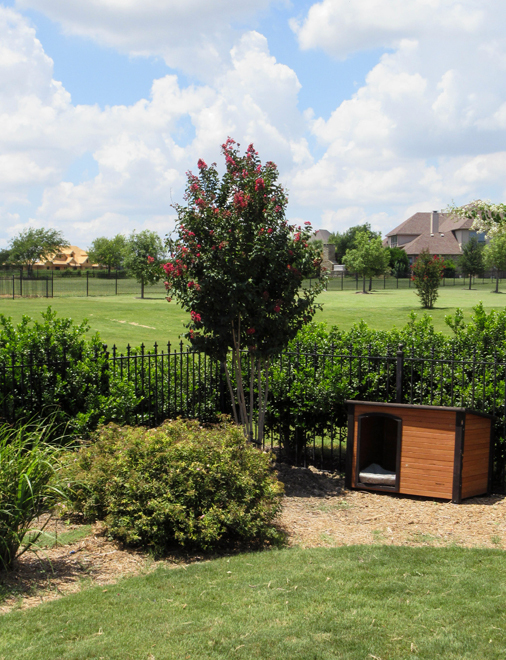 The Centennial Spirit Crape Myrtle is adaptable to a wide range of soil types, very drought tolerant and has a good resistance to powdery mildew.